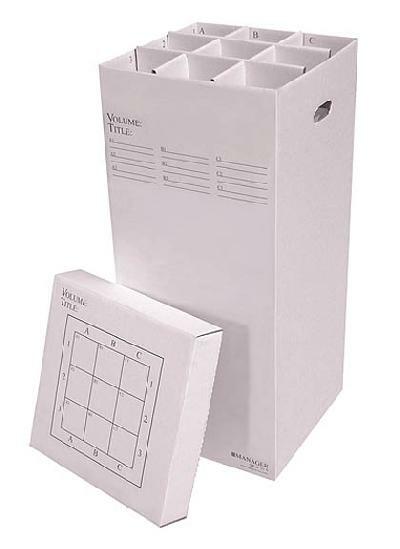 Rolled Document Box - The Mana.. The Manager Document Storage Box is perfect for economical and durable permanent storage of rolled documents; such as blueprints. These document boxes have individual slots to organize rolled documents; reinforced bottoms to prevent breakthrough; and la..